PFYC.com offers several levels of protection and coverage for your 1997-2005 Buick Regal. These are custom fit covers specifically designed and fitted to the shape of your Regal. These are not generic fit covers. 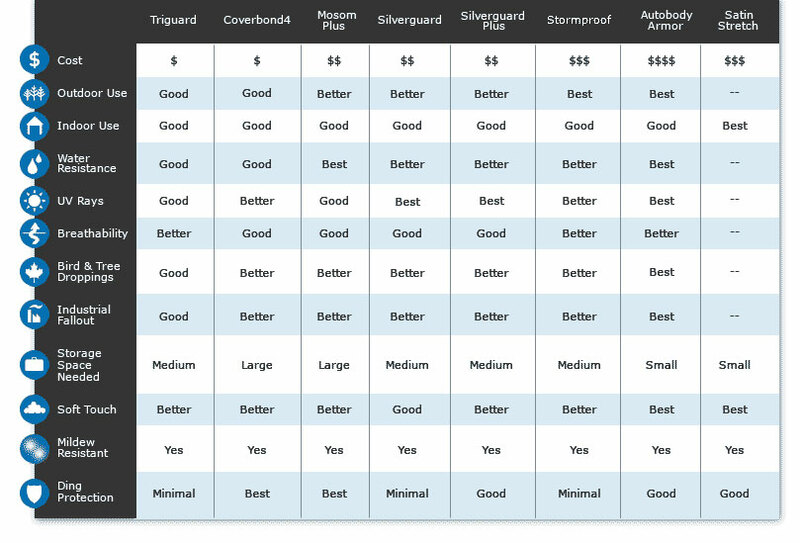 Below is a description of each material that should help you decide which cover is right for you. I have had my stormproof car cover for 2 weeks now. Love the way it fits, it truly feels customized for my car. Also love the way rain runs off the cover. Definitely recommend it.